St Marys & St Davids church or locally known as Kilpeck church is located 8 miles from Hereford Town centre. Take the A465 heading towards Abergavenny and you will see a brown sign marked Kilpeck church for a left turn. The church is probably the second most visited church in Herefordshire after the Hereford Cathedral. When I arrived at the church, there was about 10 or so people visiting. Some of the visitors I spoke to where from Southampton and came specifically to visit the church. There is plenty of room for car parking right by the gate entrance to the church. 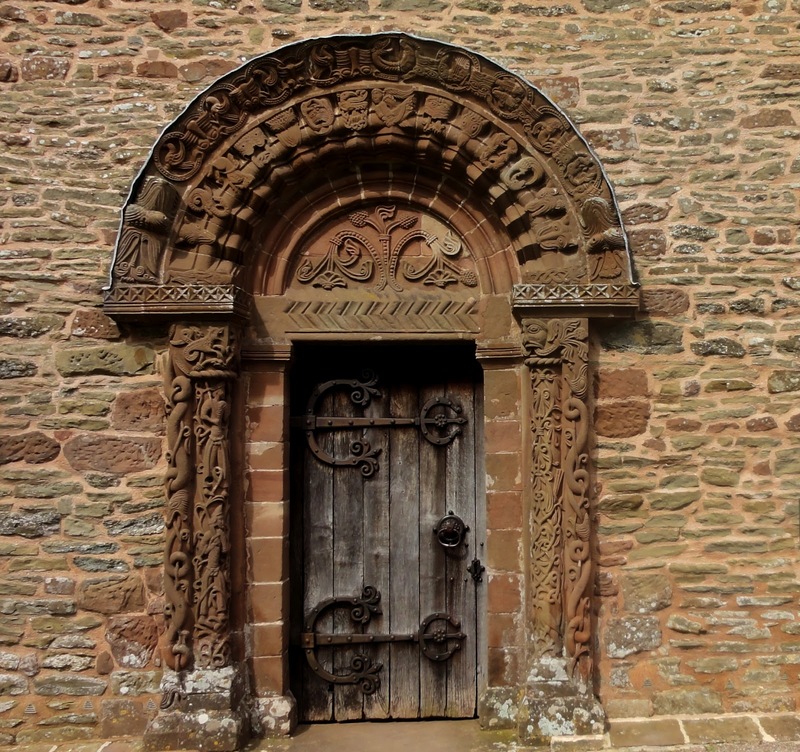 The church was built around 1134 and has many interesting features, the door being just one of them as shown in the picture. The carvings are sculptured from sandstone and are in a wonderful condition. 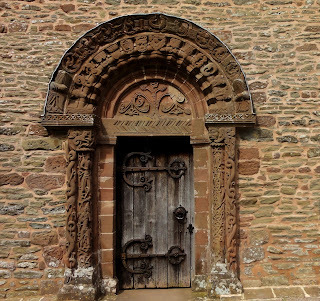 Kilpeck church has wonderful architecture and deserves a visit when visiting Herefordshire. At the rear of the church there are wonderful country views with seating for you to enjoy.